The audience was hostile to an extent, as this was the man who had waged war on Israel four years before. The speech was delivered before the Knesset in 1977, to an audience that was hostile, especially meeting with the President of a country who had invaded Israel four years previously. 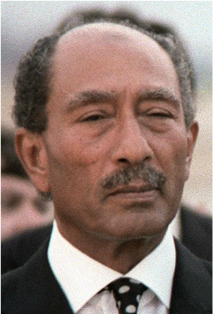 Watch the youtube clip on Sadat. What does this tell you about his context?